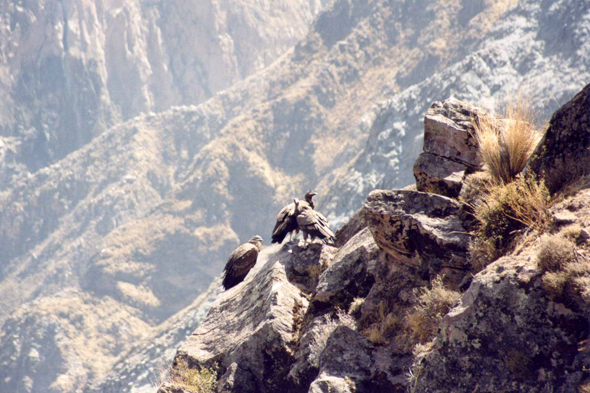 Three condors in the canyon of Colca. This diurnal raptor is from the race of the vultures. It can weigh more than 11 kilos. Its wingspan is 3 metres what makes of it the largest flying bird of the world. Its sight is piercing, its claws are not very hooked and badly adapted to the seizure of the preys.